and feel very privileged to be bringing the Word of God into our local High Schools. Along with many of you I’m sure, I can remember how the teenage years were so formative in our lives. It’s when we began to ask the bigger questions, made our own decisions about what we believed to be truth or lies, navigated numerous (and often embarrassing) physical changes, established our identity and took steps towards the course of life we decided upon. To be able to provide students with a space within which they can ask these questions, find a framework to make sense of the world, and teach them how to read and understand the Bible is invaluable! into the lives of the next generation. Your ongoing prayer would be much appreciated, particularly for the timetable to be agreeable for our volunteers, so that they can continue to maintain relationships with the students that they’ve already built. 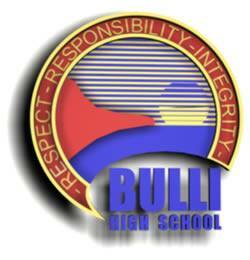 Bulli High School Christian lunchtime group meets Tuesday’s second part of lunch 1 in room 12. Students have permission note from their parents, a supervising teacher and a Scripture teacher present to facilitate them getting together to chat, read the Bible and pray. We are registered with Scripture Union NSW which is approved by the department of education.